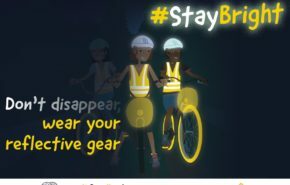 Don't disappear, wear your reflective gear! 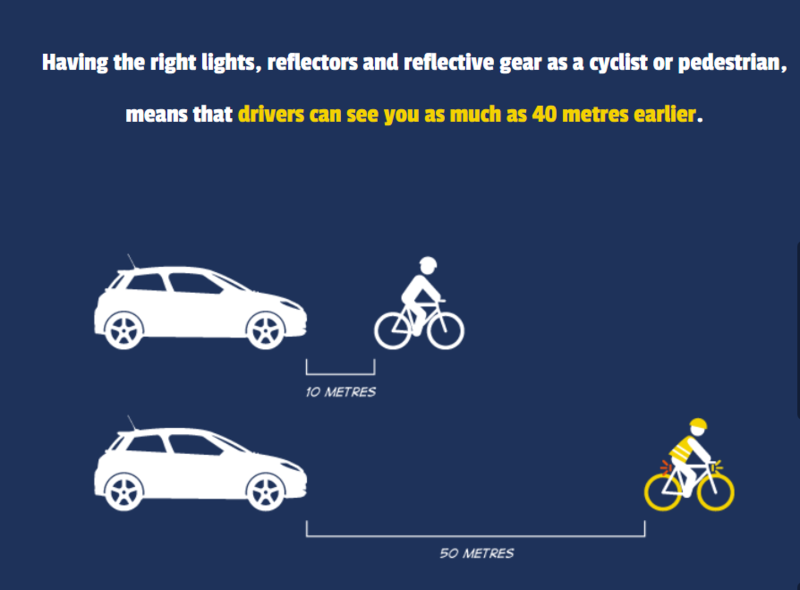 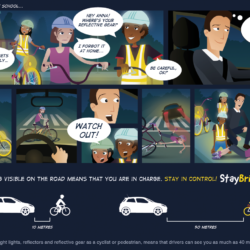 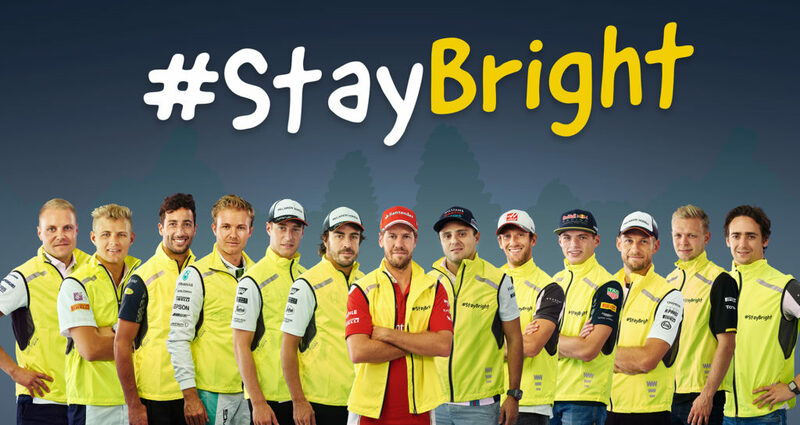 The FIA Region I campaign Stay Bright teaches kids the top tips on wearing reflective gear when on the road in the dark, whatever the season. 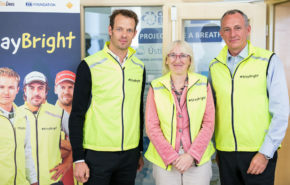 Here, you can get checklists and advice to make sure that you have the right tools to be visible. 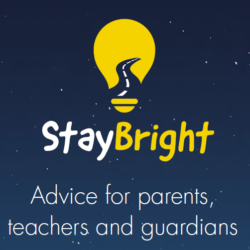 Be sure to watch the animation, read the comic, download the poster and share your commitment on social media with the hashtag #StayBright. 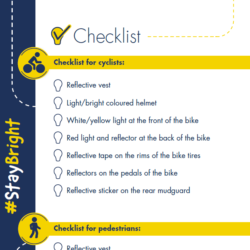 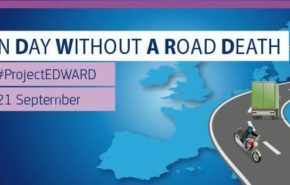 Be sure to Stay Bright when you’re on the road! 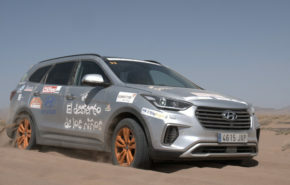 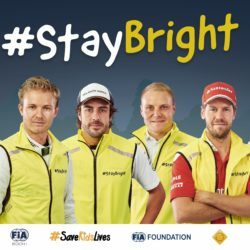 Our Stay Bright ambassadors from the world of motorsport include: Fernando Alonso, Valtteri Bottas, Jenson Button, Marcus Ericsson, Romain Grosjean, Esteban Gutiérrez, Kevin Magnussen, Felipe Massa, Daniel Ricciardo, Nico Rosberg, Stoffel Vandoorne, Max Verstappen, Sebastian Vettel and Alexander Wurz.